Infections in surgery pose a challenge to every physician treating them. 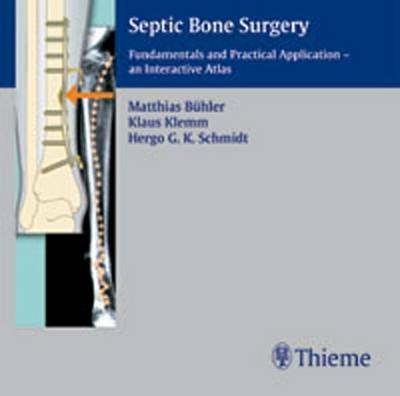 However, an effective local antibiotic carrier is now available for septic bone surgery in the form of Septopal®. This interactive CD-ROM not only conveys the required fundamental knowledge but also concretely explains (using eleven sample clinical cases): - the surgical procedure - the principles of local antibiotic therapy Thirteen detailed video sequences with typical cases from practice, twelve animations with spoken commentaries and 40 X-ray films impressively illustrate the surgical procedure. Answers to frequently asked questions from practice help in making complex decisions. In addition, this CD-ROM contains more than 180 slides, which can also be used in presentations.